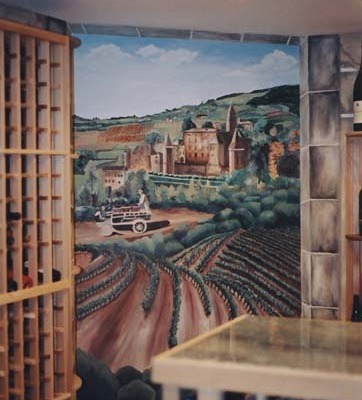 Make your wine cellar a unique memorable place with wine cellar murals. Whether you are aiming for that old world effect with rich texture and rustic charm or aiming for the views of distant vineyards you have come to the right place. Our Seattle muralist have great ideas for wine cellars. 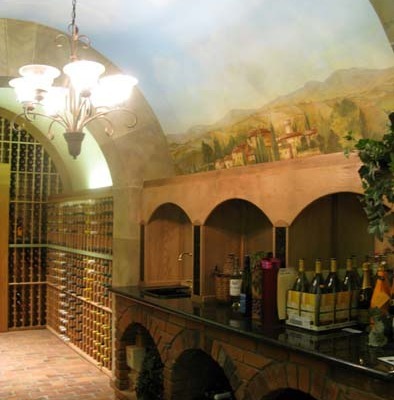 There are many ideas for wine cellar murals that will give the illusion of space and breath taking views. 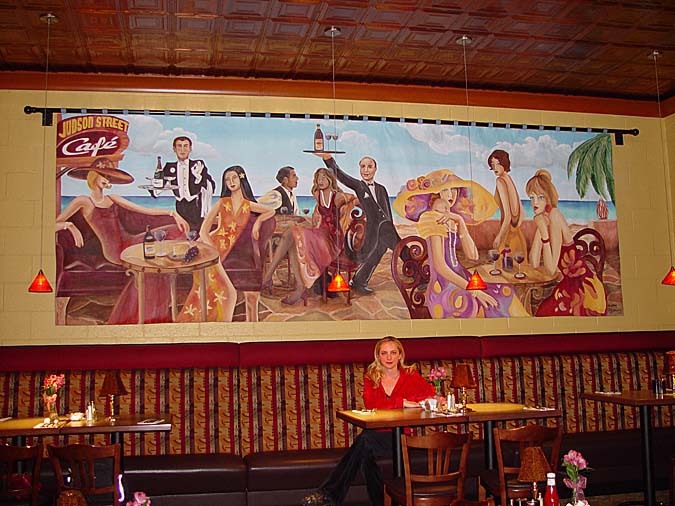 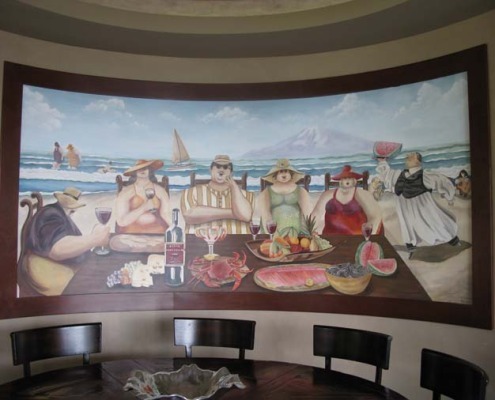 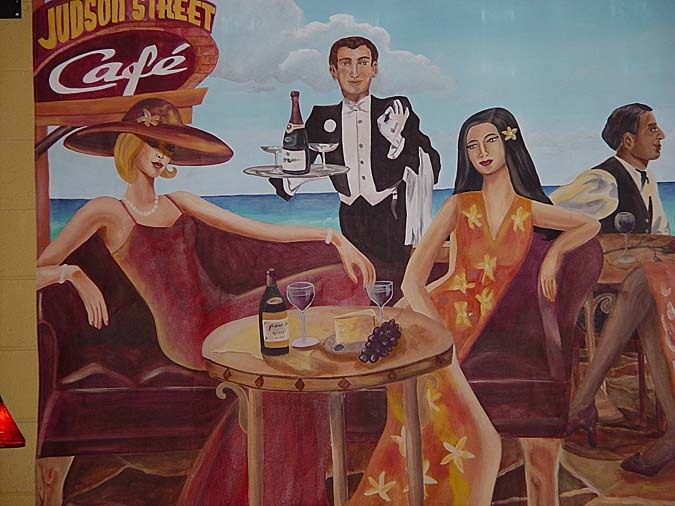 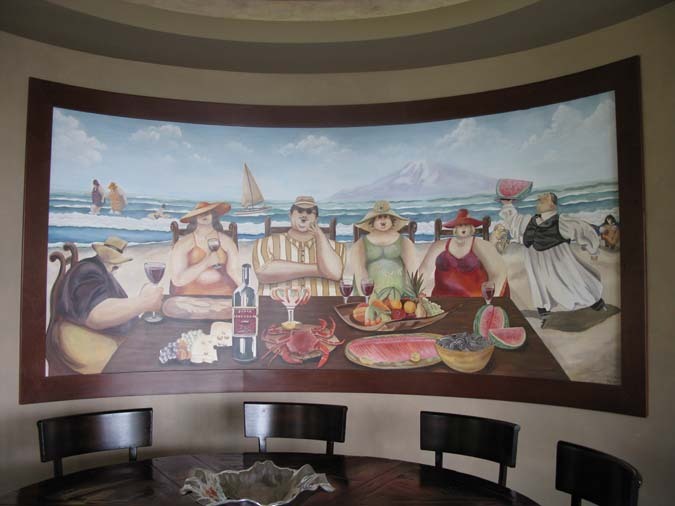 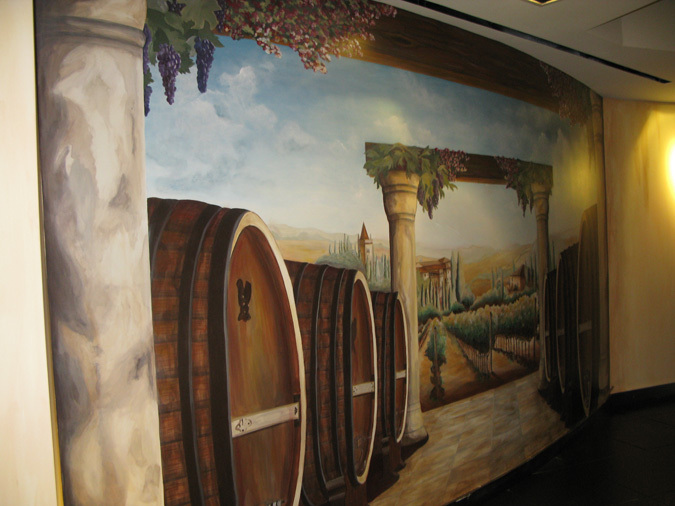 From wine barrel scenes to spanning vineyards and villas our Seattle mural artist will make your wine cellar murals amazing. 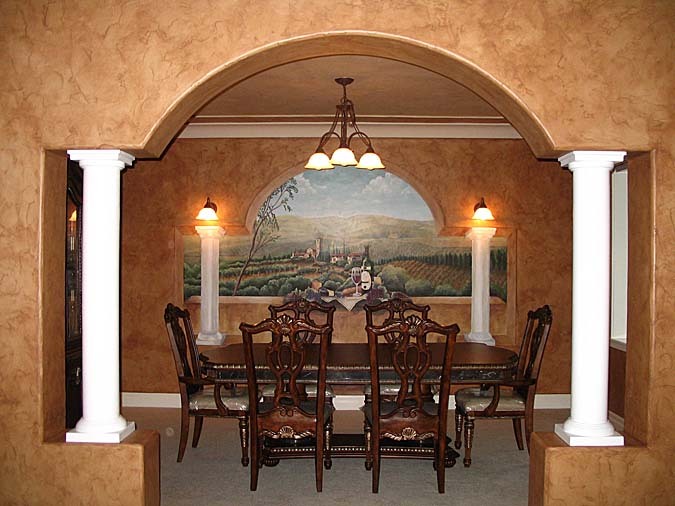 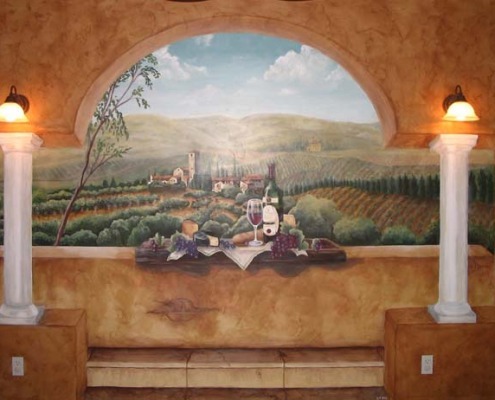 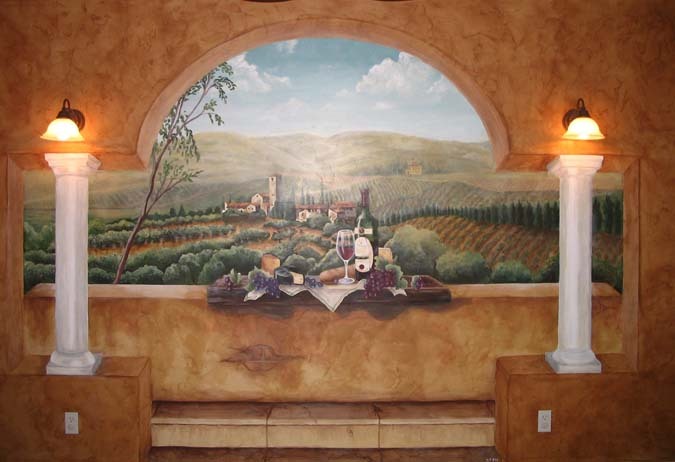 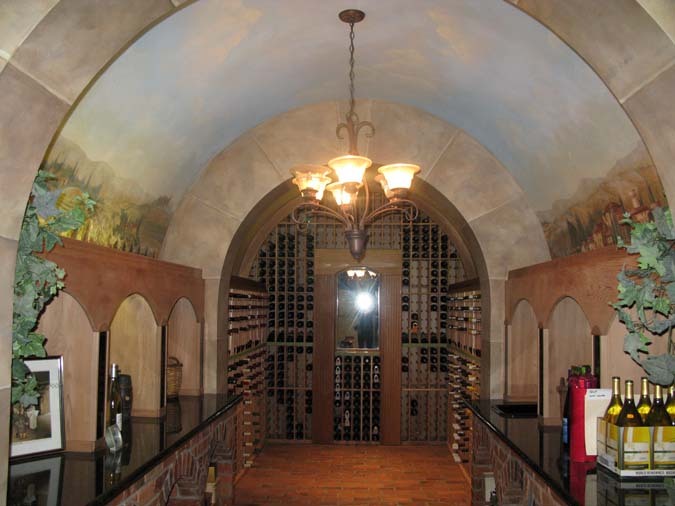 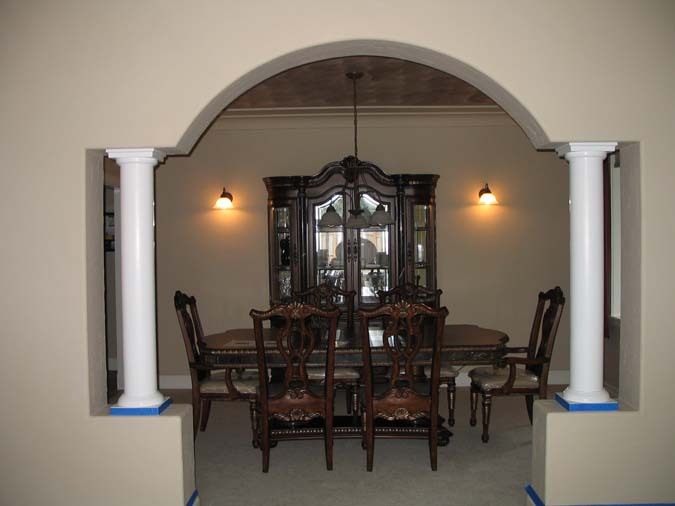 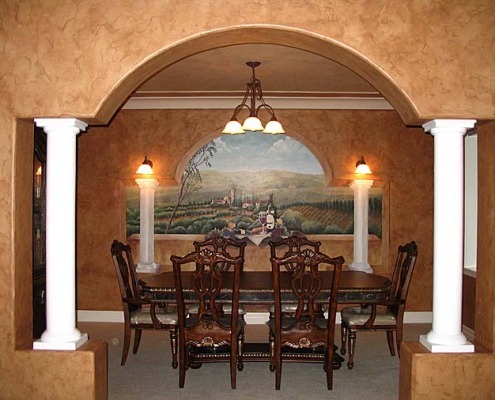 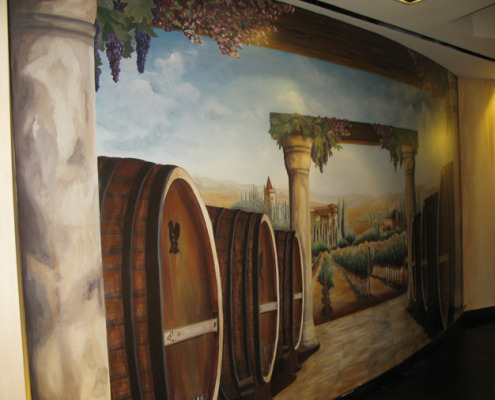 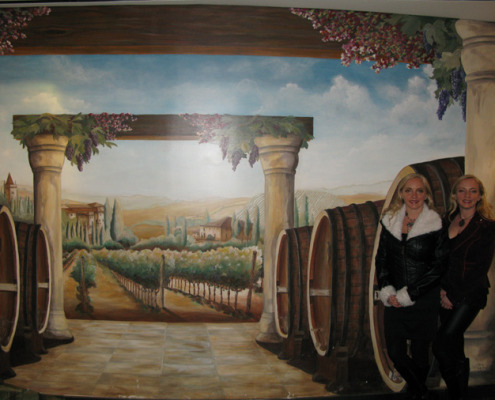 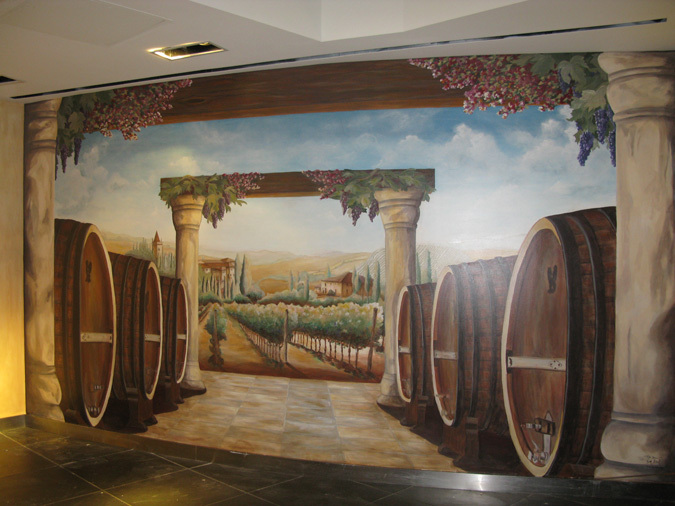 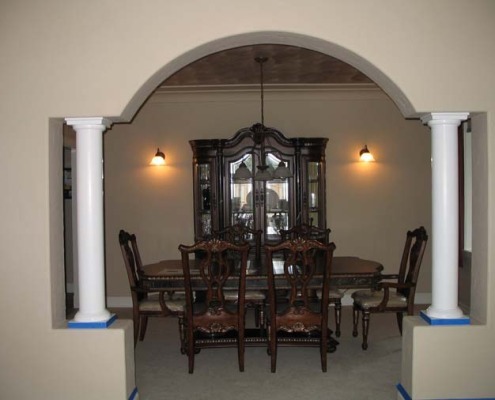 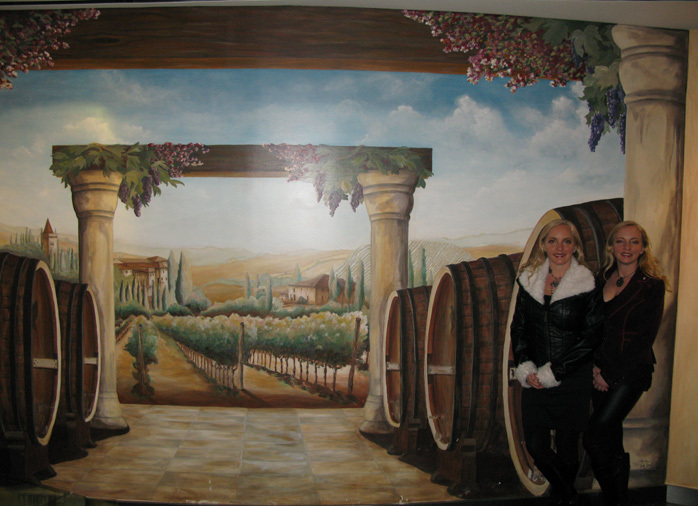 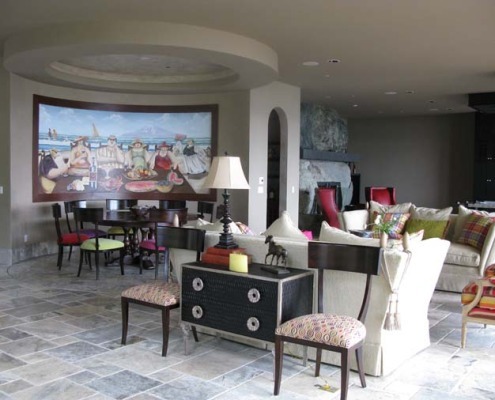 Wine cellar murals are a fantastic way to make your wine cellar more expansive and feel larger. 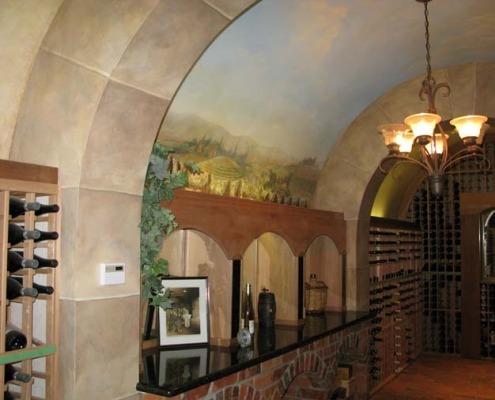 We have completed wine cellars with unique interior design ideas in Seattle, Bellevue, Kirkland, Redmond, Tacoma, Issaquah, Medina, Sammamish, Mercer Island, Olympia and more. 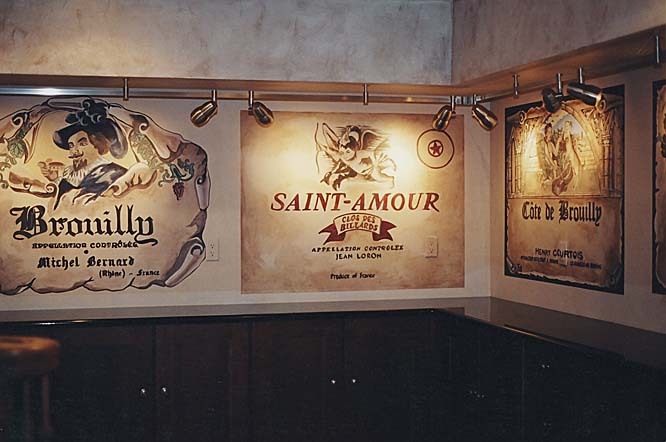 Wine vintage posters and special customized wine labels can be a fun addition to your wine cellar when hand painted as a mural on your wall. 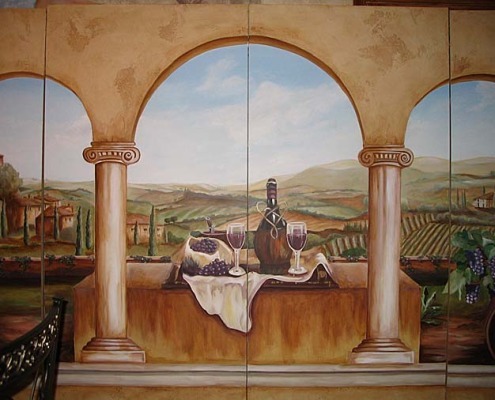 A more contemporary and whimsical idea could involve a wine bistro scene. 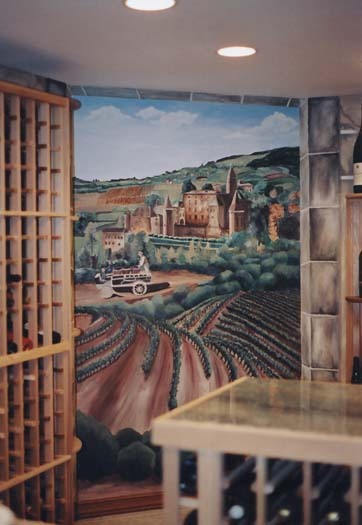 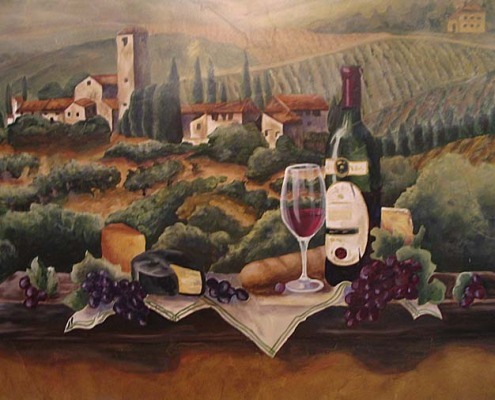 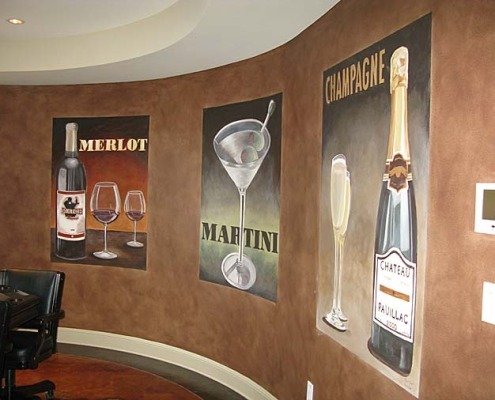 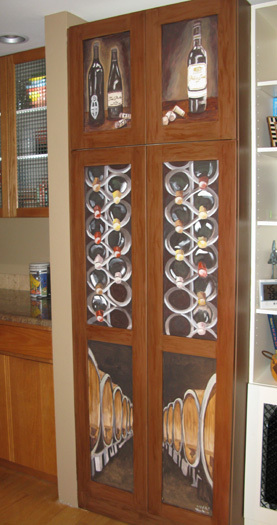 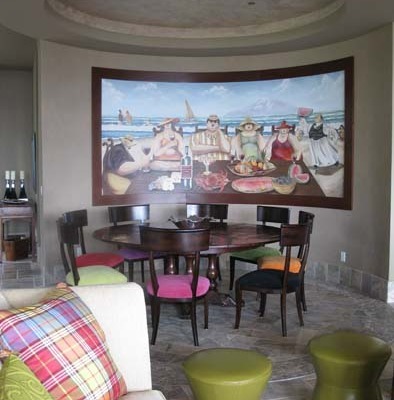 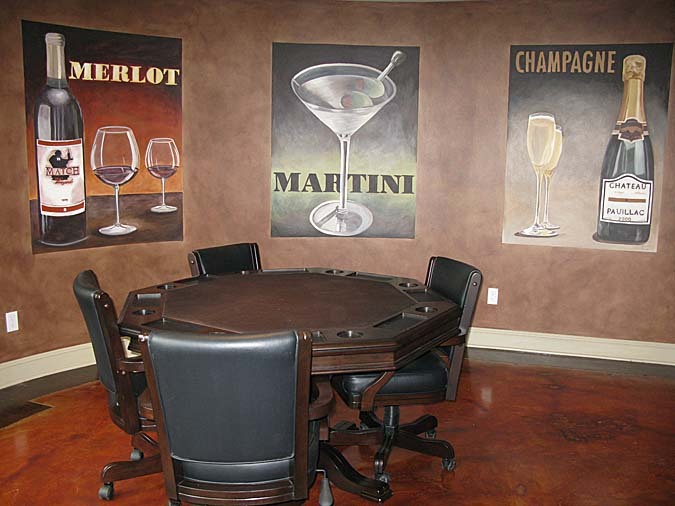 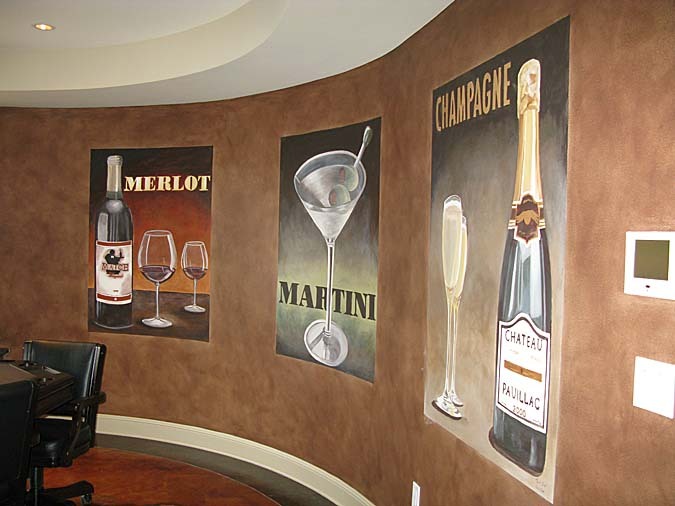 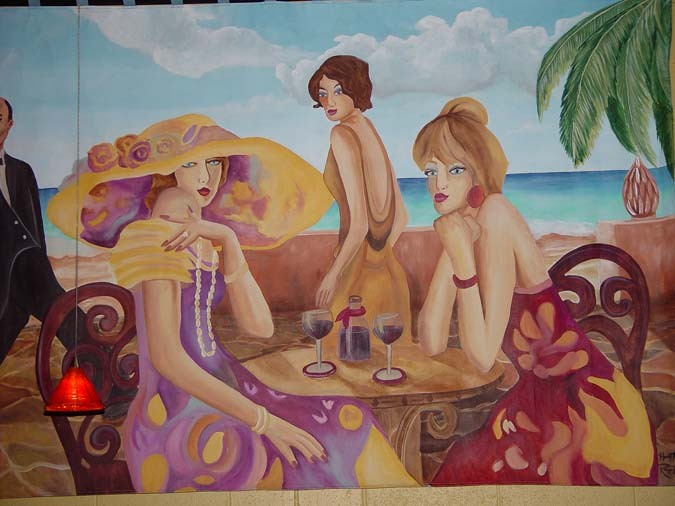 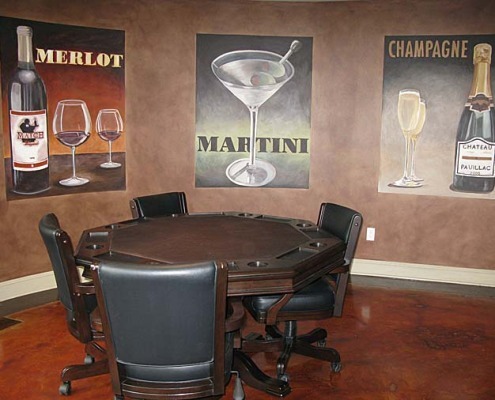 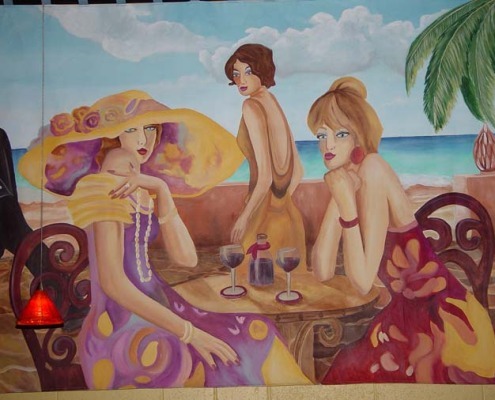 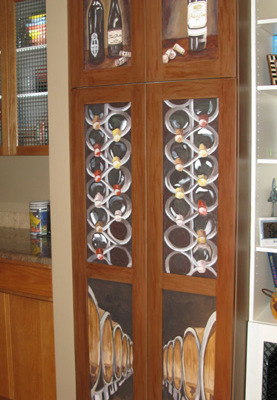 Wine cellar murals add that special touch to your wine room. 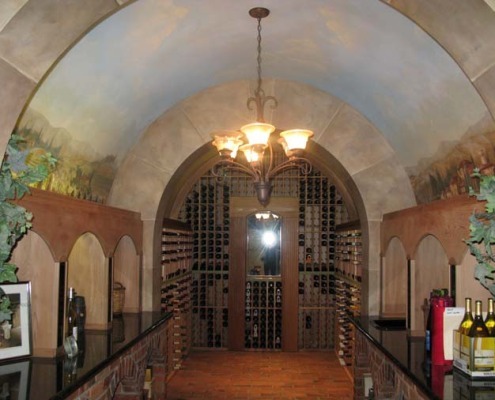 How to make your wine cellar a unique memorable place…Whether you are aiming for that old world effect with rich texture and rustic charm or aiming for the views of distant vineyards you have come to the right place. 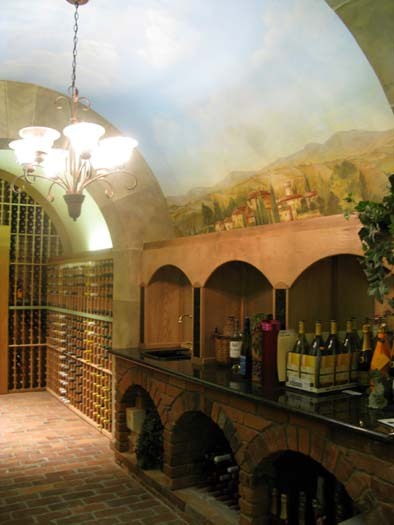 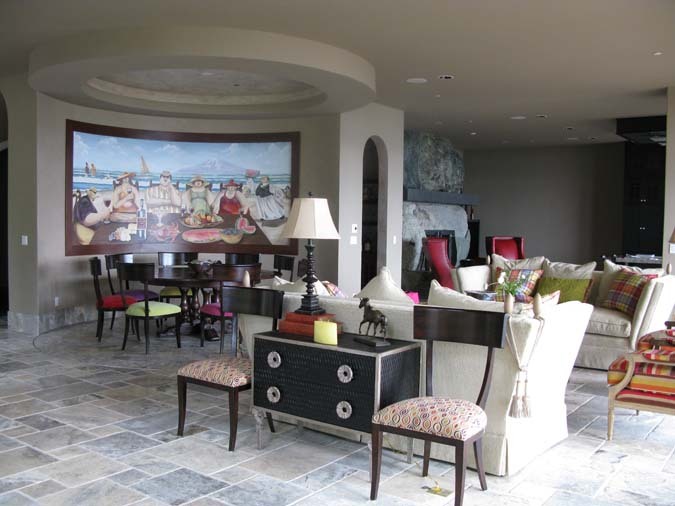 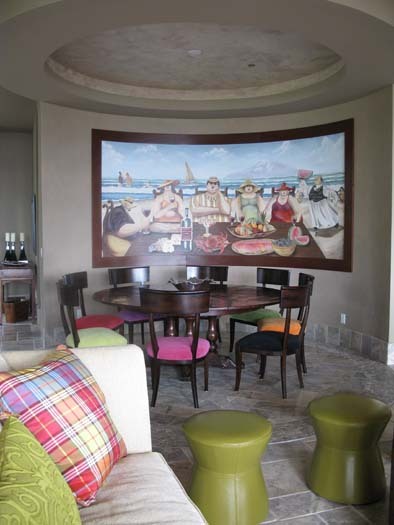 There are many options for mural ideas for cellar that will give the illusion of space and breath taking views. 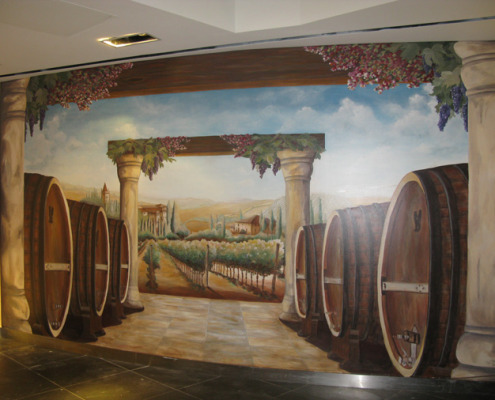 From barrel scenes that give the effect that you are barrel aging your own wine in a deep cellar to window scenes or full length scenes of spanning vineyards and villas. 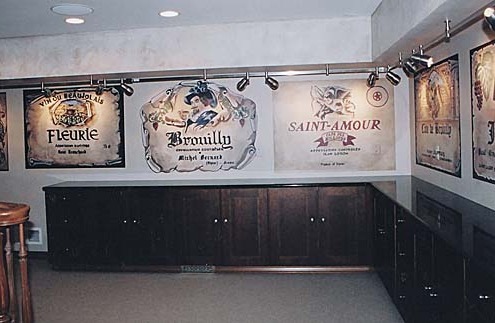 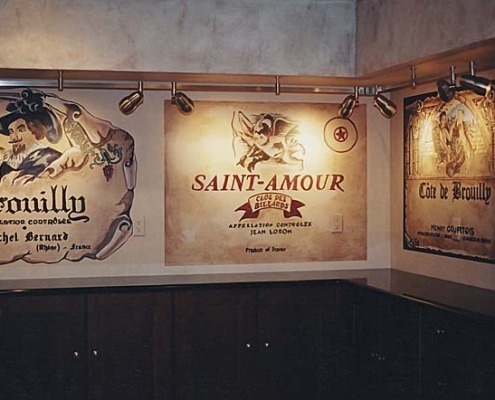 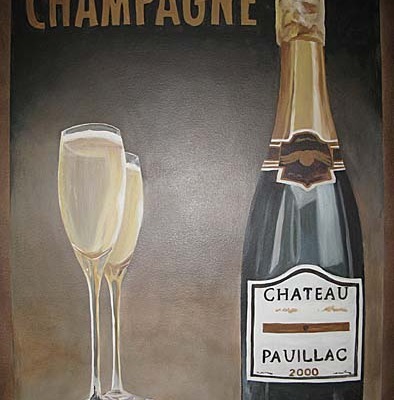 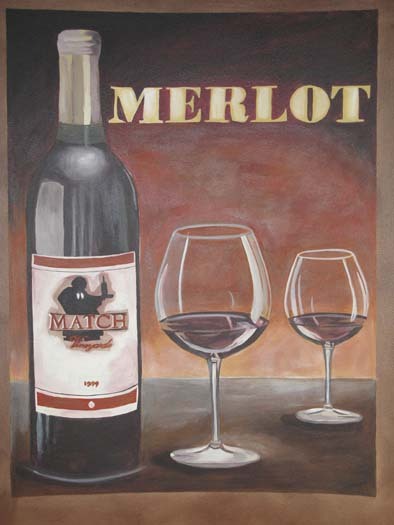 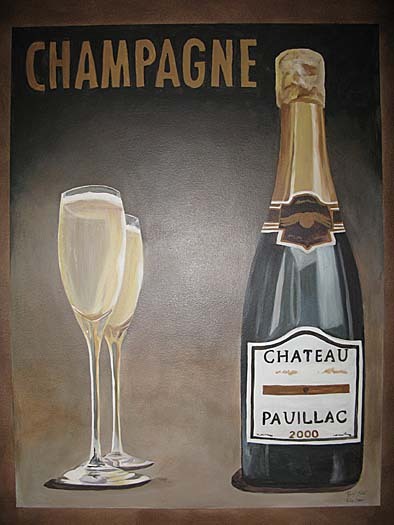 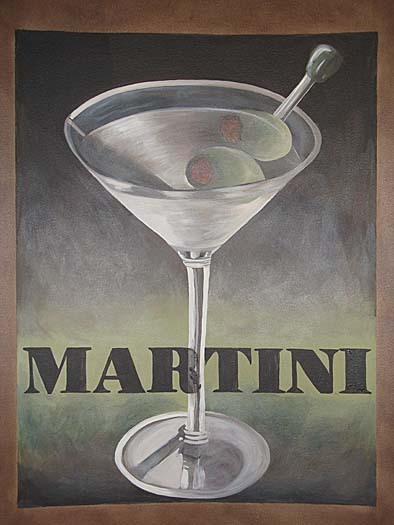 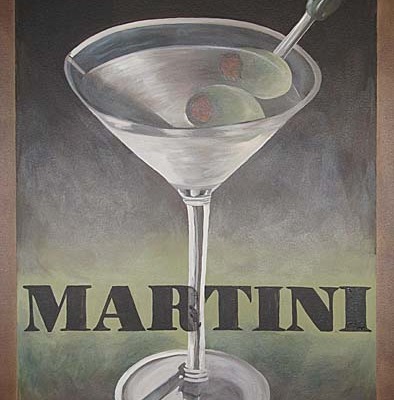 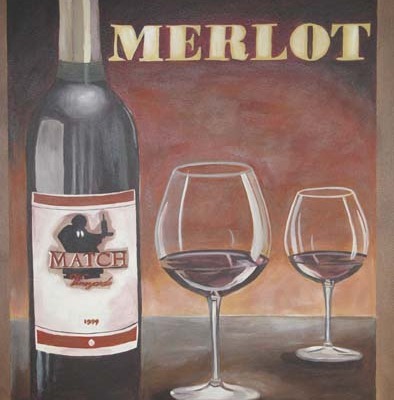 Wine vintage posters and special customized wine labels or the label of your favorite wine can be a fun addition to your wine cellar when hand painted as a mural on your wall. 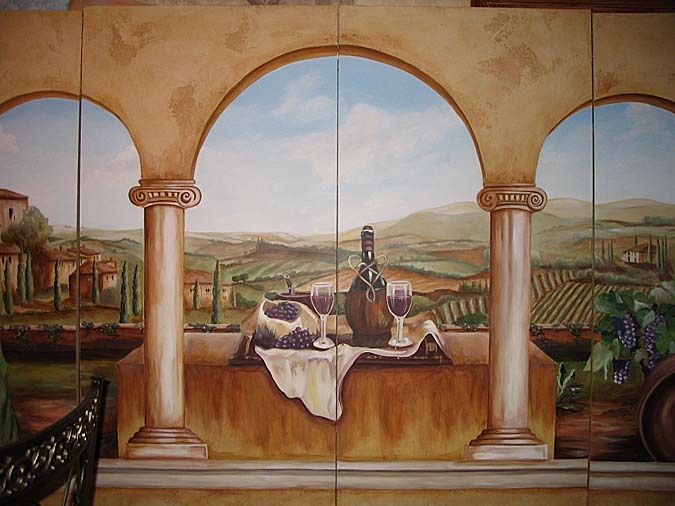 A more contemporary and whimsical idea could involve a wine bistro scene.